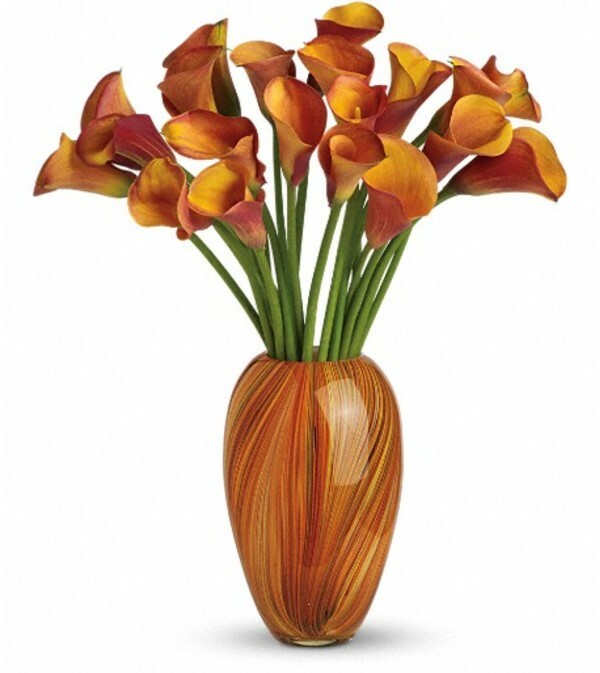 Stunning in its simplicity, this gorgeous hand-blown art-glass vase streaming with rays of color makes an unforgettable showcase for 20 orange calla lilies. 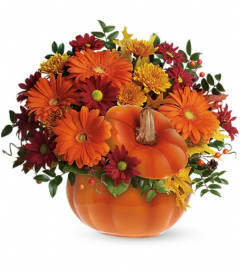 It's a serious gift for someone who's a serious part of your life. 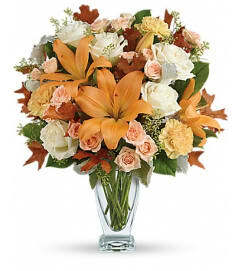 The elegant bouquet consists of 20 orange miniature calla lilies.